The belt-drive on the PL-2 is an updated version that provides all the necessary torque and accurate speed control. A finely polished elastic belt is driven by a Pioneer DC motor. The motor assures smooth platter rotation, while the belt absorbs nearly all traces of vibration while powerfully transmitting motive power from the motor to the platter. Features a static-balanced low mass polymer graphite straight pipe arm. 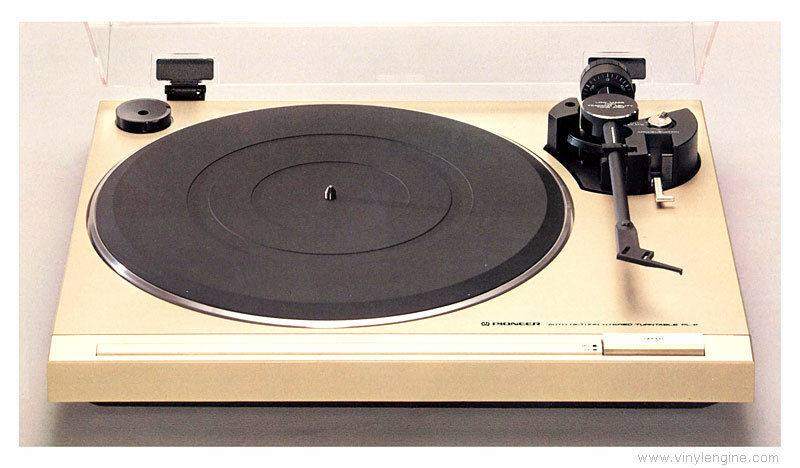 Pioneer PL-2 / PL2 owners manual, service manuals and schematics are for reference only and the Vinyl Engine bears no responsibility for errors or other inaccuracies. The PDF files are provided under strict licence. Reproduction without prior permission or for financial gain is strictly prohibited. This website is not affiliated with or sponsored by Pioneer. Posted Wed, 06/09/2010 - 14:43 by 1200y3. The PRB cross references specifies an FRX 23.6 for all but a few models. The dimensions would then be a 23.6" circumference, .185" cross section, and .033 wall. That should be 59.9cm total length, or circumference. VE should get a belt database started. Posted Tue, 06/08/2010 - 22:03 by sruffet. What is the length of the belt for the pioneer PL-2 (in cm) ? Posted Sat, 05/23/2009 - 08:09 by HenryJ. Anybody able to help me with a fix for this problem please? 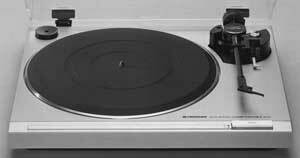 I bought this turntable super-cheap at a general auction and have spent a lot of money getting it restored. But unfortunately the auto return function has gone haywire. As soon as you lift the arm to position it on the vinyl it decides that the record has finished and immediately return to the rest position without playing a note! Is there anyone out there who can help me fix this problem please? The people who restored the turntable have said that it is a "clutch problem" and is unable to be fixed. Posted Fri, 10/23/2009 - 05:13 by torskdoc. Get the SM for the PL4 or PL5. The tonearms and mechanisms are the same. UNDER The tonearm inside is a pin that contacts the arm that engages the gear. The pin is out of alignment, due to someone not aligning the parts when assembling. It's fairly easy to figure out. But hard to explain on mail. I just fixed a PL-460 with basically the same problem using the PL-4 manual.